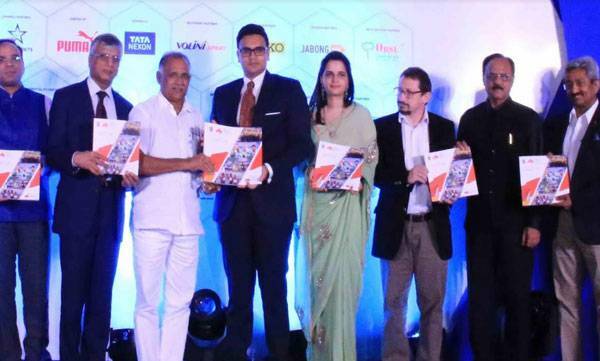 Bengaluru, The Tata Consultancy Services (TCS) World 10K, the world’s premier 10K along with the event’s Philanthropy Partner India Cares Foundation continued its legacy as one of the largest fundraising platforms in India, by raising an impressive INR 5.29 crore through the 2018 edition of the event. With over 24,000 people taking to the streets of Bengaluru this edition, 82 Civil Society Organisations (CSOs) benefitted from funds raised by the enthused runners and individuals from all walks of life, in support of Children's Education, Women's Empowerment, Mobility Aids for the Disabled, Afforestation, Water conversation and Support for the Elderly among other causes. Funds raised through individual fundraisers irrespective of social and economic demographics have impacted CSO’s across the country. Interestingly, the top 2 fundraising CSOs for the 2018 edition are based out of Coimbatore and Mysuru, expanding the epicentre of fundraising from beyond the race city – Bengaluru. "TCS World 10K Bengaluru, f​or​ a decade now, has provided over 400 CSOs the opportunity to not only raise INR 39 crore but also ​and very importantly, to ​build their capacity to effectively communicate their work to various societies, individuals, groups and companies. Over the years we have seen ​ participating organizations grow because of these learnings and gain confidence in communications and raising funds throughout the year. ​It is also important to note that the majority of funds raised through the TCS World 10K come from individuals, which gives organisations the freedom to use these fund​s raised to expand and fill gaps in programs, initiate new ideas and strengthen their own capacity to enhance the quality of services. On behalf of the participating CSOs, we would like to say a very big ‘Thank you’ to every donor, fundraiser and company who has helped grow the philanthropic pillar of the TCS World 10K." said Murray Culshaw, Chairperson, India Cares Foundation. 16 organisations have raised INR 10+ lakh. 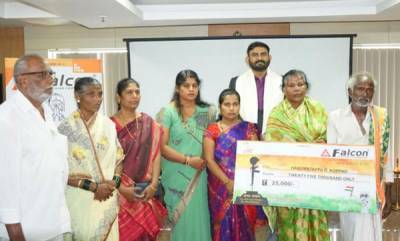 In the Care Champions category, 4 individuals together raised INR 45.16 lakh for Kalisu Foundation. They are also working with Government schools in Mysuru and Bengaluru which will impact 6,500 children in the current academic year. Studies have proved, that human compassion and an extension of empathy towards fellow humans, has a positive impact on not only one’s own Physiological Wellbeing but also on our society. This is clearly showcased through the utilisation of the funds raised, year on year at the TCS World 10K Bengaluru. ● 6,741 children were provided education and other support. ● 2,265 Women & Girls were directly supported through education assistance, menstrual hygiene education and vocational training. ● 10,262 people were provided health support that included screening for eye health, hospice care for terminally ill cancer affected patients; Cancer detection Camps that helped identify and provide early intervention; medical subsidies made available in remote areas of India, surgeries and post-operative care; women and child survivors of abuse provided with support and treatment. ● 2,500 youth provided digital skills training. 1. Cleaning, de-silting and rejuvenating the 7 traditional open wells in Cubbon Park, which were defunct for over 3 decades. 2. Connecting all these wells with electric cables, pumps, control panels, and plumbing to reach water to the central sump opposite Central Library. This was achieved by doing earth work for about 1.4km of double protection electrical cabling and plumbing. 3. Currently, 6 Wells are providing a minimum of 65,000 litres of water for Horticulture Department's needs, every day. 4. Phase II of CPR is to rejuvenate the two ponds within the Park, study the area and dig 50-60 Rainwater Recharge Wells, to build the water security for Cubbon Park, so that as long as there are rains the Park's needs can be met.